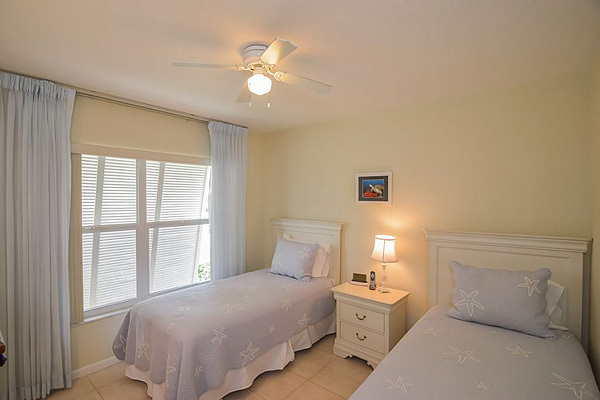 You may shop all day then step right onto the beach for the sunset spectacle – you are here in paradise. 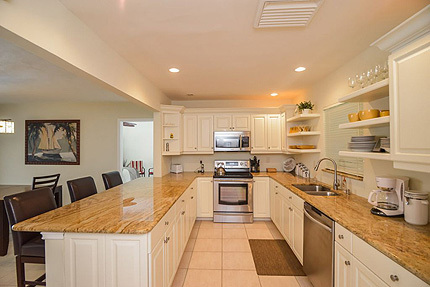 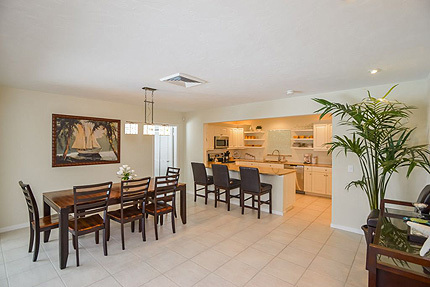 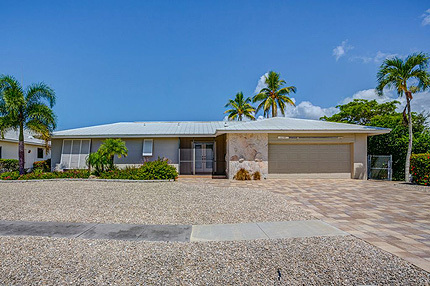 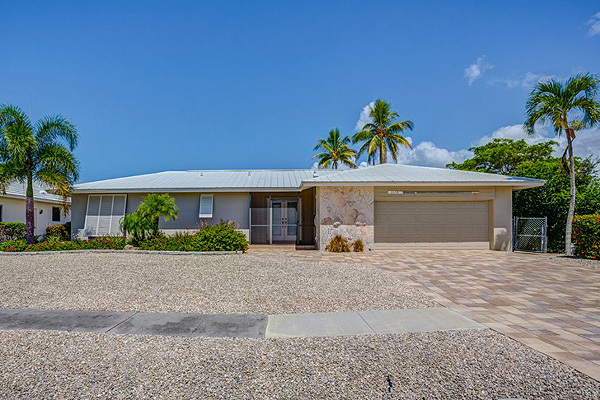 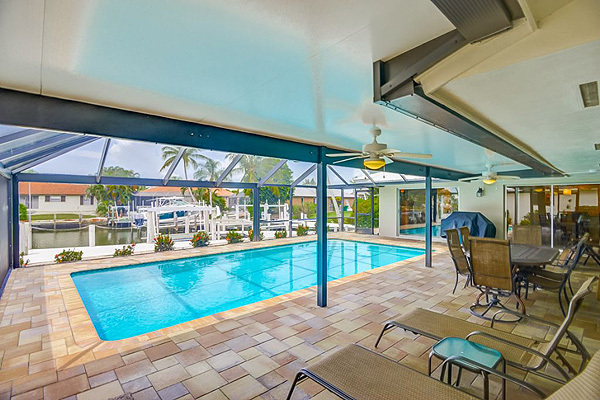 You will feel relaxed and instantly “at home” in this beautiful Island-style home with tiled floors in all areas, leather sofas light pastel colors and a friendly “Florida” atmosphere. 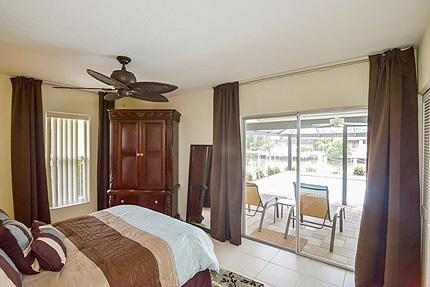 The family room has cooling overhead ceiling fans, twin sofas, stereo music system wide-screen TV, DVD. 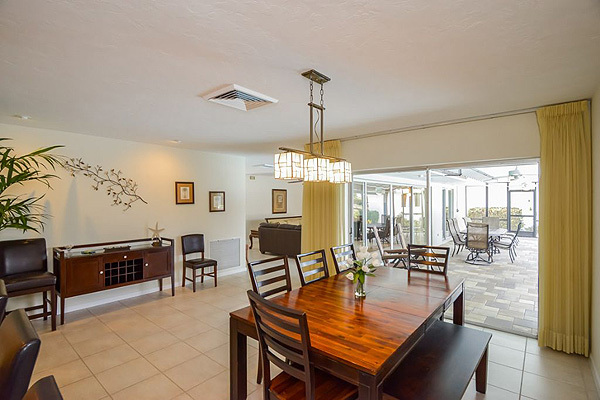 A casual dinning area is conveniently located between the kitchen and family room and offers a quiet relaxed area for entertaining or to finish that book you always meant to read. 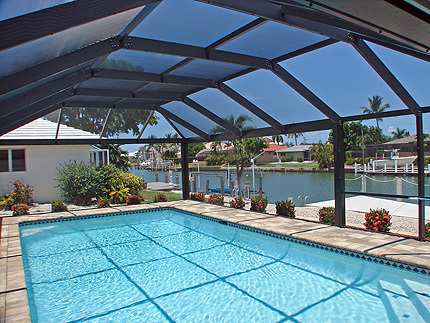 Live the outdoor life and enjoy year–round sunshine. The screened private pool and sundeck is well equipped with outdoor table, chairs and sun-loungers. 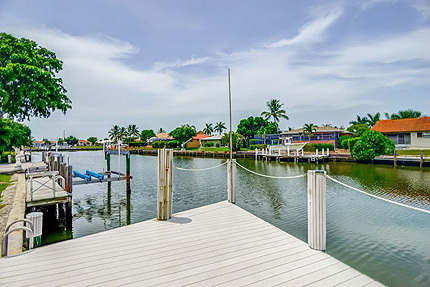 Whether your passion is simply to absorb the atmosphere, to spend time fishing the canals or to take to the water this home & superb waterside location offer you a pleasure & pastime to match every passion. 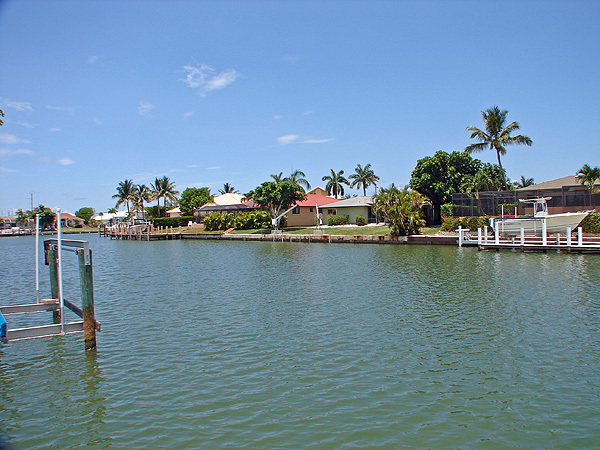 Feature: A cozy Island getaway, prime location minutes from shops & restaurants with beautiful water views. 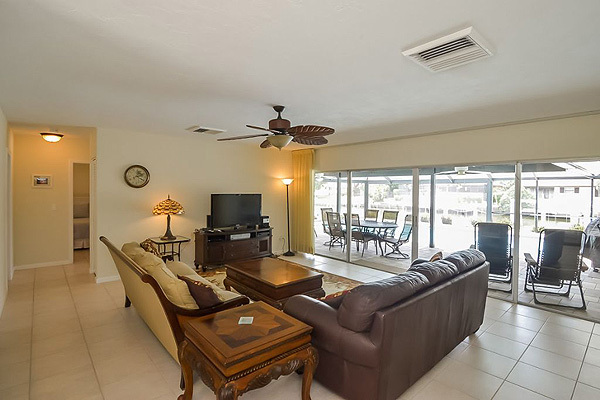 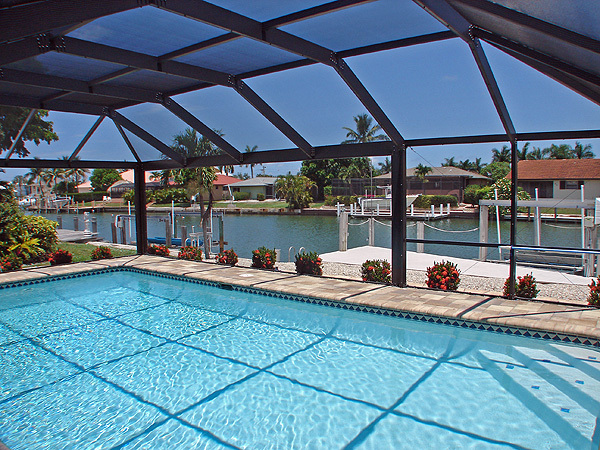 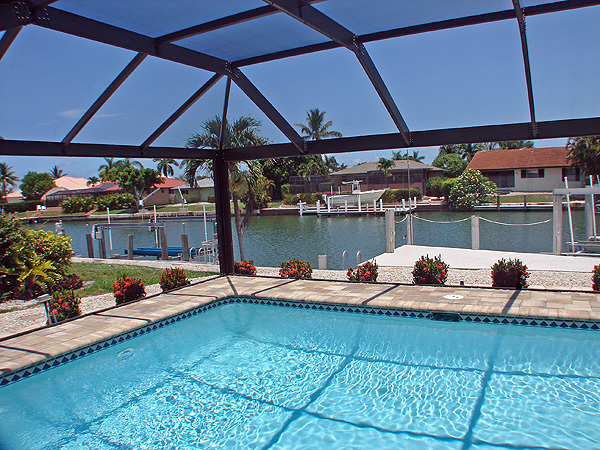 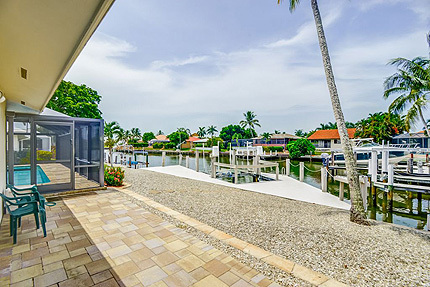 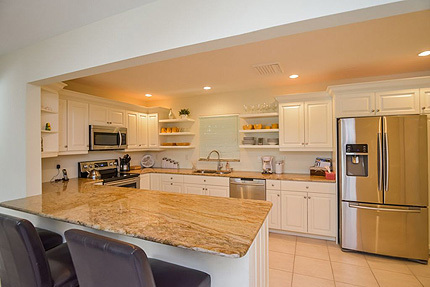 Furnished outside dinning and relax areas with sun deck, pool and private boat dock. 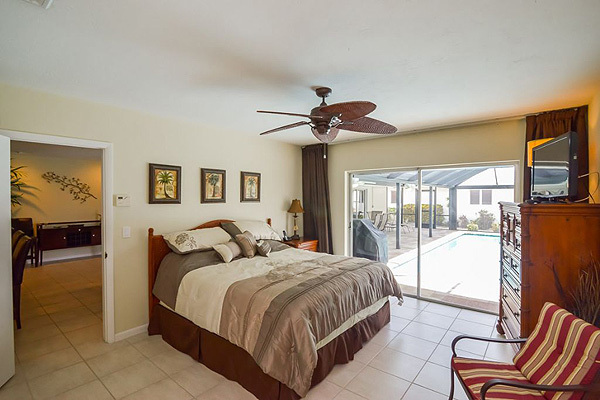 Featuring an elegant master bed (King), double closets, tiled floors and TV - sliding doors lead out to the pool and sun deck. 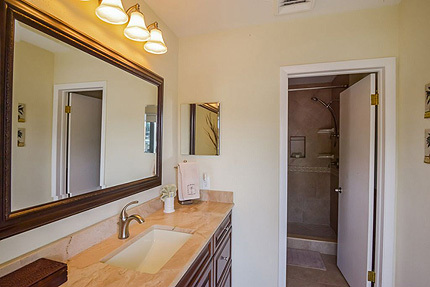 The en-suite bathroom has fully tiled step-in shower, single vanity unit and toilet. 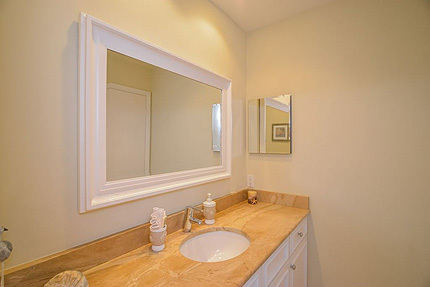 Featuring single vanity, fully tiled over-bath shower and toilet. 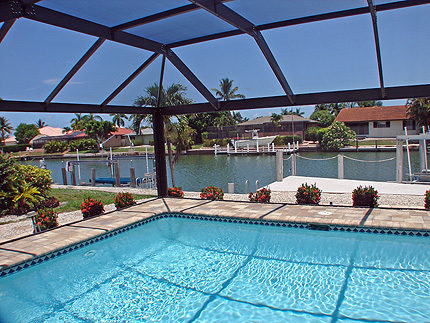 Sorry no video of Coconut Cabana at this time.